Here I was thinking I was gonna go on a hiatus but in the end these app games keep reeling me back in. I was thinking of writing something about this topic in my last enstar diary entry but decided not to because its prolly gonna become irrelevant… Guess I was wrong. More or less, having the graphics and visuals of the opening translated to chinese seems like too much work for an amateur group to do… but thats just what I think. I don’t know how these knock-off games are carried out. Plus, I was told that Happy Elements originated from China or something similar but not quite sure if thats entirely true. I’ll try to keep this short and sweet, so don’t expect me to go into details about the differences and new stuff… If I do talk about stuff, it’s gonna be really short. This blog helped me out a bit when it came to how to get the game. It says that the beta is available from 13th January until the 26th of January, however it seems that in the latest update of their post it says that as of the 16th ppl seem to have trouble downloading the game/its no longer available to download. I’m guessing its a closed beta where they open it until they reach the right amount of ppl to test it/give feedback and then close it. Or maybe its off the app market because it really is just a hack or something, tho my app seems to be working fine. More or less, if this is a real beta approved by HE, they prolly gave it to developers in China to work on it while the team in Japan focuses on events and stuff happening right now. For those who want to try (even tho theres a possibility its not available in anymore), you can download it from a Chinese app market place. Its only available for android, I think, sorry iOS users! A bit of warning. Downloading Chinese Enstars may replace your existing enstar app. For me, I used my old android phone to download it where I had an outdated enstar app so I didn’t happen upon any errors or anything so the process went smoothly. You can download the Chinese market place app through scanning the QR Code with your device found on the website. You can find the QR Code by hovering over the image with a smartphone on it, its below the option that says PC on the right hand side. If you don’t have one, you can get a QR Code Reader through searching one on google play. The QR Code will take you to a website and the download will start, you’ll have to approve it because its a third party app. You’ll also have to do stuff to your settings to allow the installation. Once thats done and installed search for “偶像梦幻祭” (the Chinese name for Enstars, which translates to “Idol Dream Festival”) in the app, download and install. You’ll have the do fool around with your settings to allow the installations. When installed you’ll have to sign in through a 应用宝 account (account for the app market place you downloaded, you’ll have to make one if you choose this option) or through signing in via wechat. Seeing that I already had wechat downloaded previously & made an account, I signed in through that. The wechat option is much easier because you can sign in through an english account so it’ll be easier to sign up for wechat. Again, there is a chance that it is no longer available to download. If its a hack or an imitation then its a pretty good one, hell even I want to Enstars to be like this. The gameplay is very meaty (? is that a right word to describe this) compared to the base game and I’d be happy to see it implemented in the future with some improvements to it as well. Actually, I’ll run down the differences and new stuff real quickly before I continue. Lessons are cut down, 10 lessons instead of 20. You can now pat (three times per hour) any guy that is in “My Room“, levels up affection, only happens once every 1 hour, you cannot pat another guy during this cool down period. You can activate it by swiping/rubbing the guy. The guy set to “My Room” can also give you items, AP items and other stuff (Adonis gave me Anpan). Not sure if its at random or once a day. Thats about all that I can remember about…. I said I’d keep it short but guess not lol. There are some things that I feel like it needs a few more tweaks to it, like the levelling up and maybe the gems, but overall I like it. I wish they put more jobs to do and more interactions in the map but hey, now I can pat Adonis so its all good. 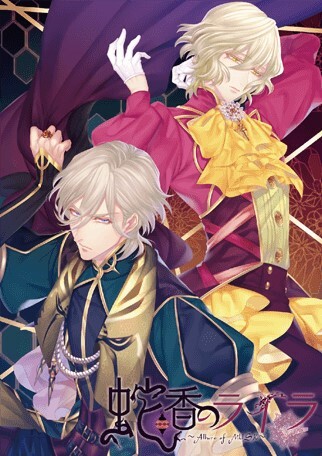 Not sure how to feel about the gacha tho… it seems it’ll be difficult to get a 5* card/event gacha card now or maybe my luck was bad when I tested it lol. Theres 10 more days left until it disappears. Right now it has the Duel Event going on, which I’m in the top 500 ranking and I could get all the cards but… I don’t think I can transfer those cards to my Japanese account lol. It feels good being in the top 500 tho. Here’s hoping this is the new gameplay implementations the Enstar Team said they wanted to make in the future because so far its looking good. Tho if this really is just an imitation only for Chinese players then I’d be really, really sad. Just let me pat my Adonis. I’m hoping to go back into hiatus and actually do something about fixing this blog and adding stuff but this current event has Kuro so I gotta bring him home. Not sure if I’ll do a diary entry, maybe a real quick one. As always, thanks for reading. I’ll see you all in a week or two… maybe? Who knows.